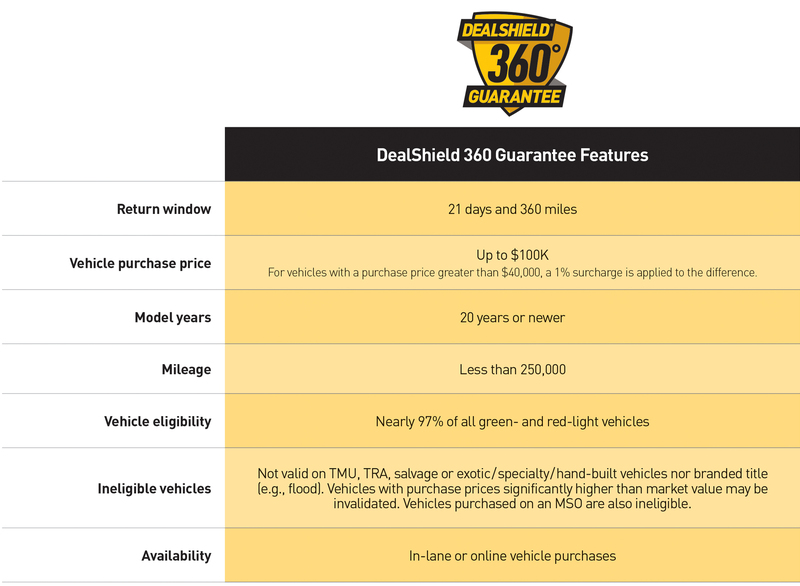 Protect your gross profit on every vehicle purchase with DealShield® Automatic Guarantees. Enjoy the ultimate protection of the DS360 guarantee automatically on every eligible vehicle purchase across our extensive partner Network. *Does not include acts of God.